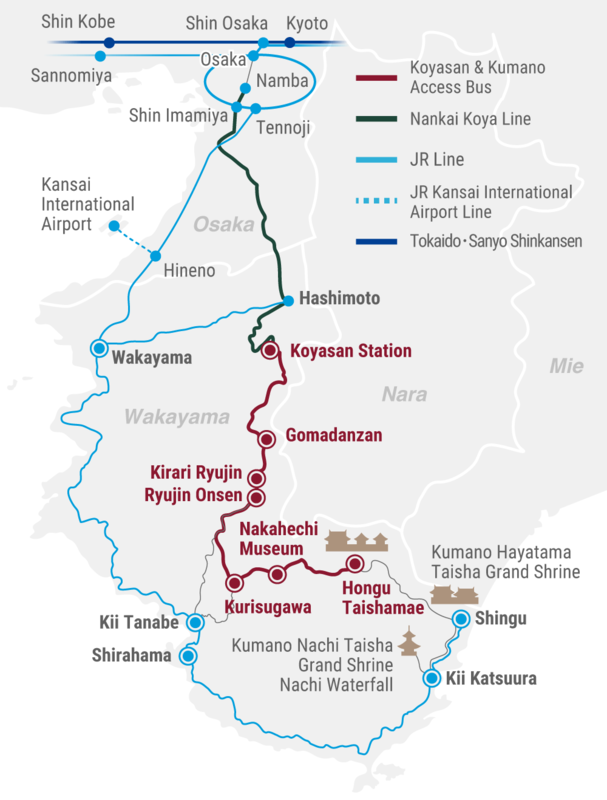 Your exploration of the ancient Buddhist complex of Koyasan and the Kumano Sanzan—the grand shrines of the Kumano Kodo Pilgrimage Route—just got much easier. 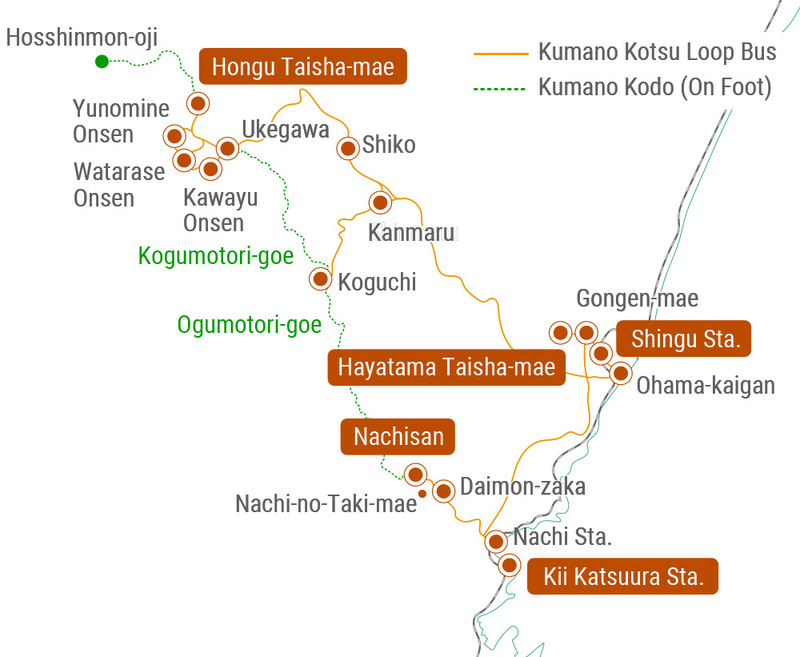 Unlimited ride bus passes connecting the Koyasan area and the Kumano Sanzan are now available. allowing for stress-free and smooth travel between the world heritage sites giving you more time to focus on heightening your spiritual state. Make use of the Kumano Kotsu Bus Pass for three-day unlimited bus rides between the spots marked on the map. This convenient pass provides a smooth travel option between the spiritual sites of significance. Be aware that purchase of this pass is only available for Koyasan&Kumano Access Bus ticket holders.